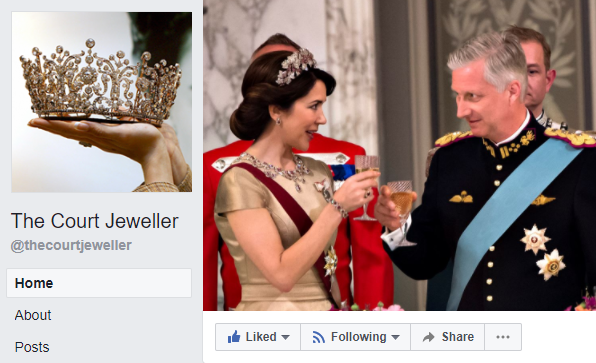 Want to Keep The Court Jeweller in Your Facebook Feed? Calling all magpies who follow us on Facebook! You might have read that Facebook is planning to roll out a new algorithm for its news feed soon, prioritizing content generated by individual users and de-emphasizing content from websites like The Court Jeweller. I don't spend money to advertise on sites like Facebook -- that strategy just isn't for me -- but I do share links to every post on the site, because many of you have told me that you use Facebook as a way to stay up-to-date with The Court Jeweller. With big changes on the horizon, here are a few steps that those of you who follow via Facebook can take to help keep our content on your feed. Visit our page, and make sure you're following us. Then, click the down arrow beside "Following" to pull up a drop-down menu. On that menu, click "See First" under "In Your News Feed." Liking and commenting on content that you enjoy will signal to Facebook that you want to continue see more content from The Court Jeweller in your news feed. Sharing posts that you enjoy will help widen their reach, and they'll also help Facebook understand that you want to see more content from The Court Jeweller. When you're working with a service that uses an algorithm to help decide which posts you should see, there's never a magical solution to control which content it prioritizes. 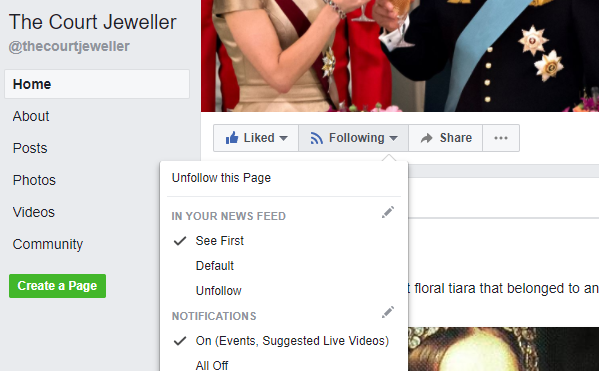 If you're missing out on your daily Facebook dose of The Court Jeweller, you may want to explore other options for reading, including visiting the site directly. No matter what happens on social media outlets, I'll still be posting glittery goodness here at least twice a day!